You’re customers are looking for something. You have less than 5 seconds before you lose them. They don’t want facts, figures, charts or graphs. They want to believe in you and feel the passion of your business’s story. They want that story to hit them in the gut and hold them attentive. And you don’t want them to be distracted by a bunch of stuff that makes their focus and your objective fuzzy. people are visual creatures. They prefer pictures to words and video to pictures. Just look at pinterest to see what I mean. And regardless of what you do, small business, dog walker, poet, photographer, insurance company, you, just like your customer, know good design when you see it. But Fran I sell _____ fill in the blank here. Why can’t I throw up a free WordPress template and be done with it? IT DOESN’T MATTER what you think you’re selling! What you’re really selling is LUST, DESIRE, PASSION, NEED, your Story! Still don’t get it? Ok, picture this. Let’s pretend you like hotdogs and both dogs are the same price. Which would you choose? 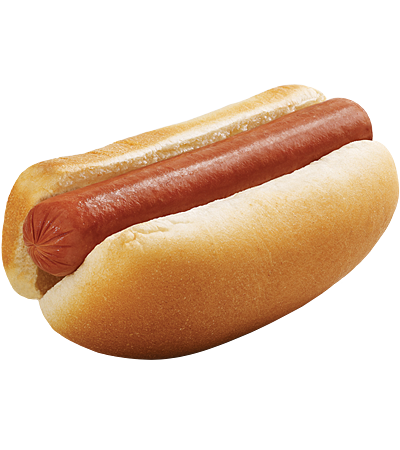 Option 1 is nice, plain, like every other hot dog in the world. Good enough, nothing special.It is probably boiled. It looks like it was fast and easy to make. And it is probably making you a little hungry but you’ll wait until you go home and make your own. Why spend the money after all. Option 2 is a gourmet dog. It says love and care are packaged into the presentation. It is food with a story that ties into sight, smell and emotion. It lets people know about the hot dog and describes what you won’t get if you eat their dogs. It plays into the desire and it quiets the fears! And that is what we will do together, build a story that ties into a customers emotions of love, need, want, desire and lust. Why don’t you set up a time where we can chat. Just click here.